Spoon River Home Health Services was established in February 1993, by four Registered Nurses wanting to make a difference for patients living in rural areas and small towns. However, it did not take long for word to spread and our business grew from the small towns of London Mills, Ellisville, Fairview and Farmington, to include Peoria, Galesburg, Macomb and surrounding towns. Today Spoon River Home Health is licensed and providing care in thirteen counties in West Central Illinois. 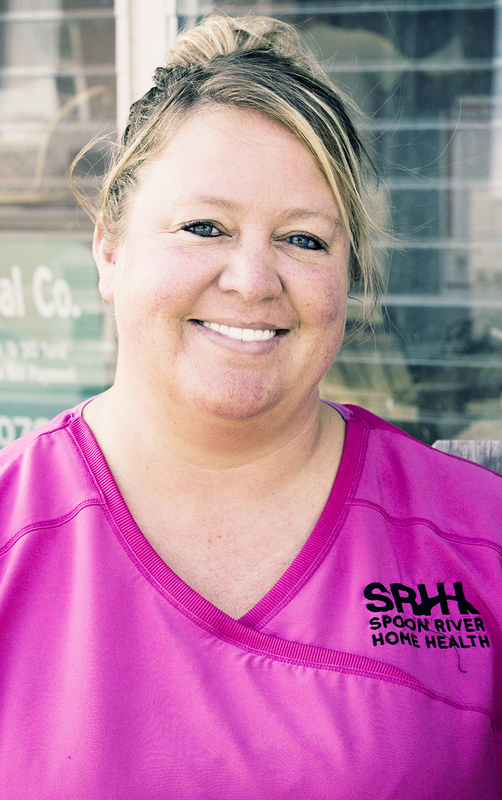 Spoon River Home Health Services is locally owned and operated, therefore making it possible to deliver professional home health services throughout the rural areas with the extra personal warmth everyone appreciates. Our main office is in Farmington, Illinois with an additional work site located in East Peoria. Our home health care services include nursing assessments, wound care, medication management, education, and IV therapy, as well as therapy services -Physical, Occupation and Speech therapies. Our Non-Medical side offers 24 hour care, personal care, transportation, companionship, and many more services. Services are set up based on individuals needs. A home visit is made to discuss services, develop a personalized care plan and provide the best possible services to help keep you or a loved one safely in their own home. We also provide emergency response systems for those who are not quite ready for home care but are looking for peace of mind. Spoon River Home Health Services was established in February 1993, by four Registered Nurses wanting to make a difference for their patients. Spoon River Home Health Services is locally owned and operated, therefore making it possible to deliver professional home health services throughout the rural areas with the extra personal warmth everyone appreciates. It is this immense sense of caring that has allowed Spoon River Home Health to overflow into much of the Central Illinois area. Spoon River Home Health not only “Bridges the Gap” between hospital and home, but makes sure the bridge crosses over into cities, towns and all of the small country communities that are the backbone of the heartland. Spoon River Home Health is owned by Brian and Susan Platt and Frank Record. Unfortunately, Mary Lou passed away in November, 2015. Mary Lou was very proud to be a Registered Nurse for 65 years. She was a graduate of Cottage School of Nursing in Galesburg, Illinois, where she always looked forward to going back to her yearly reunions. Daily operations are ran by daughter Susan and her husband, Brian. Susan and her mother started the business, along with two other nurses in 1993. At this time Brian was actively involved in the Agriculture industry and farming. 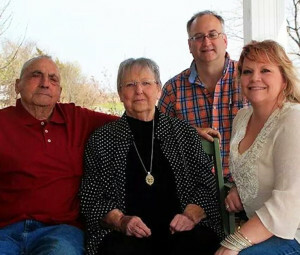 Five years into the business, Brian and Frank came into the business, along with Mary Lou and Susan, making it truly a family run business. In 1993, Spoon River opened it’s door in the small community of London Mills, along the Spoon River. Thus the moto at the time, “Bridging the Gap in Healthcare” was our theme and the old London Mills Iron Bridge our logo. It wasn’t long until the news of local nurses providing small town care spread, and quickly, our business was not just “small town” anymore. Our clients quickly spread into the Peoria area and communities to the West. It was for this reason, and the lack of updated phone lines, we relocated our main office to Farmington, Illinois. Our main office remains in Farmington, with work sites in Peoria and East Peoria. SRHHS mainly serves the counties of Fulton, Knox, Peoria, McDonough and Tazewell counties, basically a sixty mile radius around Farmington. A few years ago, it was time to update our logo. We choose the SRHH and using an arch to represent the bridge from our beginnings. We chose “Family Caring for Family” because that is truly what we are. Not only us, but countless family members have worked and still do, for Spoon River Home Health. Whether related by blood or proximity, we truly feel like a family and our patients become family to us. Through the years, Spoon River Home Health has seen many changes in health care. SRHHS continues to grow and change to remain a vibrant part of the health care community and so that we can continue to provide the highest quality of care from our family to your family. 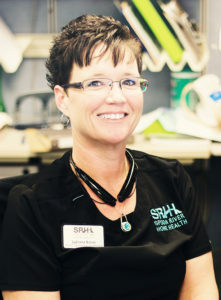 The SRHHS Team constantly strives to provide clients with the most professional level of health care in the home, and keeps the lines of communication open for referrers and payors. At the same time, our approach has always been to deliver personal service to all of the people and organizations we serve. To learn more about our office and field management staff, check out their bios below. 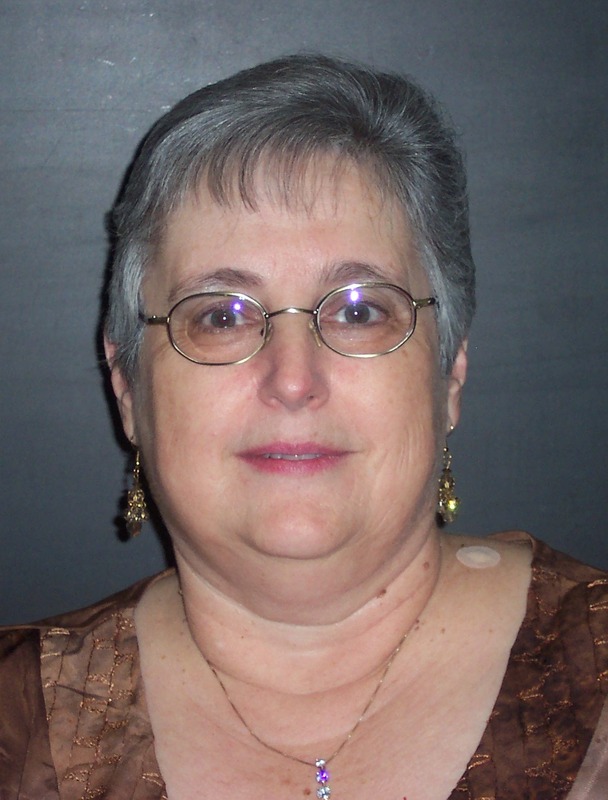 Susan started Spoon River Home Health in 1993. Although she owns SRHHS, her main role is the “Director of Professional Services.” As an R.N., B.S.N. she oversees all nursing and therapy- internally and externally. She communicates and educates on a daily basis. 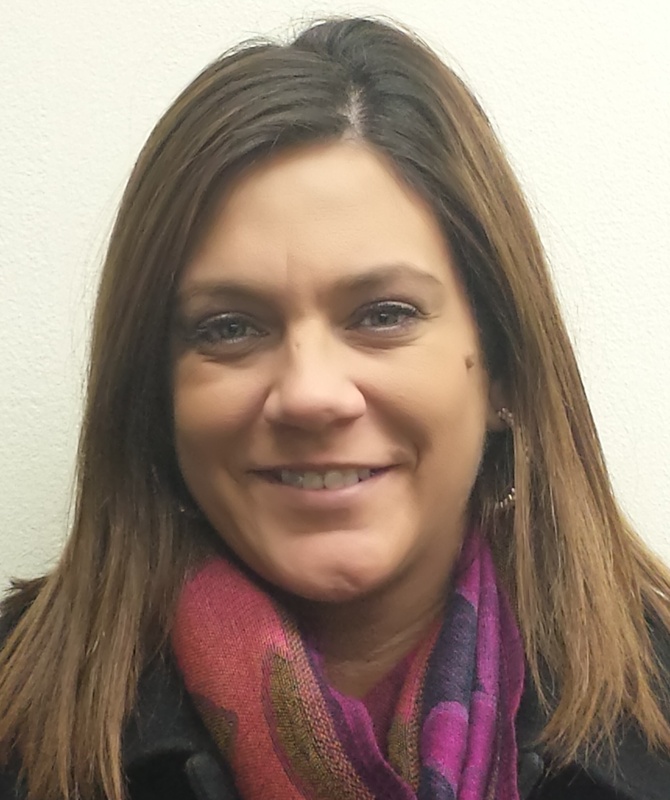 Susan is responsible for ensuring SRHHS is compliant with all rules and regulations. Susan’s background is in critical care nursing. She always formed strong relationships with her patients and their families, and wondered what happened to them when they left ICU. It was for this reason, when the opportunity arose, she went into home health care and chose to open a home health agency with the help of her mentor and the best nurse she knows, her mother! A friend, on a stressful day in health care, asked her what her ideal job was. After a lot of thought, she has to admit she’s doing her “ideal” job. She gets to meet some of the nicest, funniest, sweetest, strangest people in the world. She loves to hear their stories. She loves to be able to make a difference in their life. Sometimes in home health we have the same client for years and sometimes only days but it is such a privilege to be invited into someone’s home and life and be able to make a difference. 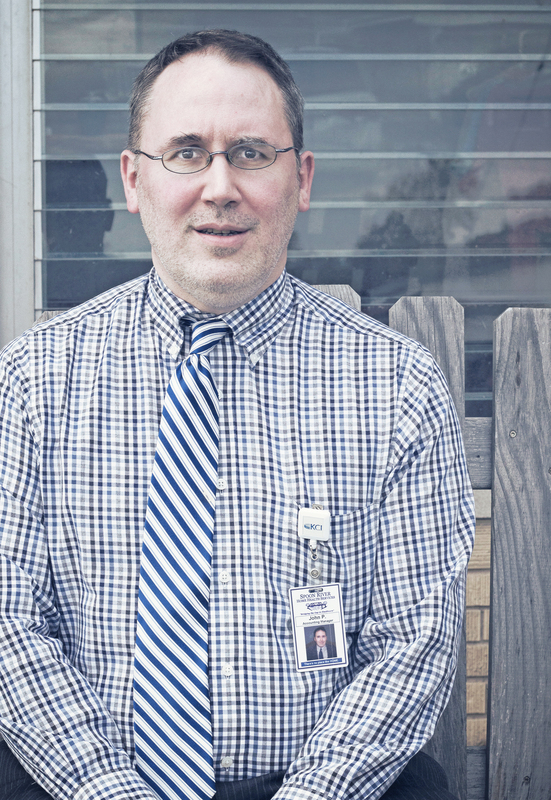 Brian manages all of Spoon River’s business activities in the office. He says that he is lucky because his wife, Susan, manages the clinical and community education activities. Plus, Brian says that Spoon River also has a great staff which makes the business run fairly smoothly. Following graduation from Western Illinois University, Brian started working for the Soil Conservation Service and also farming with his dad. Susan and he had been married for about 1 year when she started Spoon River Home Health. Being married to a nurse, having a mother-in –law for a nurse, and having a grandmother who was a Navy nurse must have qualified Brian to start helping out with the business side of a homecare company. After 2 years of helping manage the business, he became the administrator when Susan slowed down to have their 2 girls. Brian likes to ski on the water and snow, as well as horseback riding. He had the chance to show off his horses when he acted in the movie Sand Prairie. His favorite drink is anything that has seen the inside of an oak barrel for at least 12 years. I have been with Spoon River Home Health since 2008. I have enjoyed many varied positions with the company and am currently the Director of Nursing. I have been a nurse for 20 plus years and have discovered that Home Health is my passion! I have the pleasure of overseeing the Skilled services we offer along with the Home Service department. When Spoon River Home Health says we are “Family Caring for Family”, they couldn’t be more accurate! Spoon River couldn’t be the successful agency we are without our “Families”. Each and every employee I work with is like my extended family. Being a smaller, privately owned agency gives us that distinct advantage. My coworkers are as caring and compassionate to each other as any family member. And that compassion and caring gets passed along to all our clients, your family. It is that caring that sets our agency apart from the others. I couldn’t be more proud than to work with my family to help maintain your family’s health and daily needs. Lex has been providing leadership for the computing, networking and communications infrastructure for the entire organization since 2002. His divisions are responsible for the design of multi-office networking and telecommunications infrastructure. Lex has an Associate’s degree in Data Processing from a local community college. He attends various classes and training seminars geared toward network administration and security. 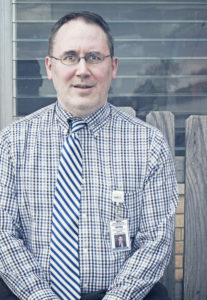 He has 19 years computer experience and 14 years with Spoon River Home Health. 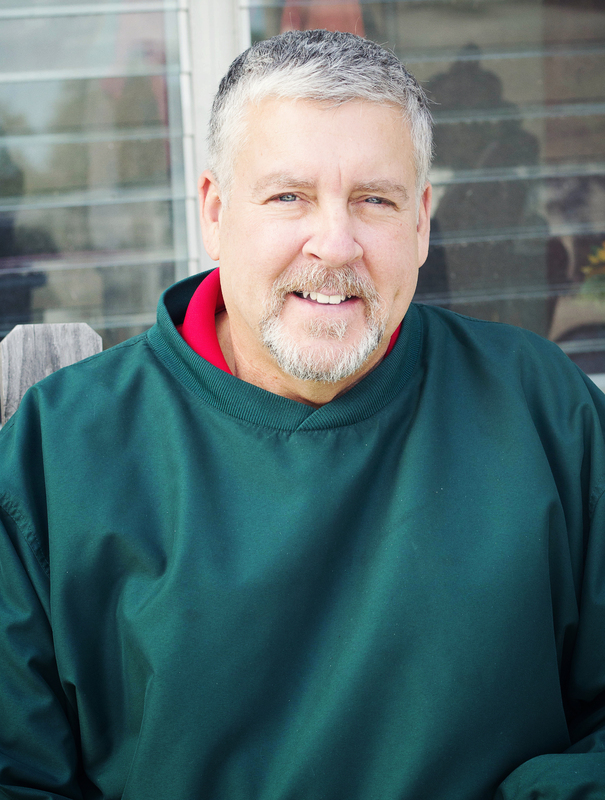 John has been the Accounting Manager for Spoon River Home Health since September 2012. He joined the Rotary Club of Farmington, Illinois in October 2012, has served as their Secretary since September 2013, and can be found volunteering at their Summer Fest and Spoon River Drive fundraisers. John performs a variety of accounting and bookkeeping services for the company. He prepares financial statements required for annual Medicare cost reports and tax returns. He oversees accounts payable and manages the Billing Department in order to maintain accounts receivable. He processes payroll, reconciles and pays deductions, and reports statistical data. He acts as a liaison to our insurance agents by providing necessary information for all insurance coverages. He renews our annual licenses with the Illinois Department of Public Health and works quietly in the background to obtain information requested at regulatory site visits. John graduated from Western Illinois University with a Bachelor of Business in Accountancy degree in May 1998. His previous work experience was public accounting in the Northwest Chicago suburbs from July 1999 to April 2010. During this time, he also served as the Park Ridge Noon Kiwanis Club Treasurer from July 2003 to June 2006 and as a Board Member from July 2006 to June 2008. John became a first-time homebuyer in September 2015 and was married at a Philippine beach resort in October 2015. He enjoys attending concerts, movies, sporting events, and his nephews’ and nieces’ extracurricular school activities. 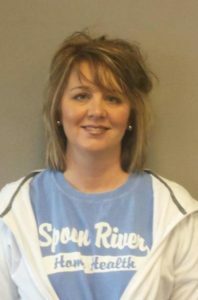 My name is Kelly Hammond and I have been with Spoon River Home Health since 2011. I started part-time as an administrative assistant working pretty much in every department before becoming the Human Resource Manager. I absolutely love people therefore the HR position fits well for me as I get to interact with customers and employees on a daily basis. I have an Associate’s Degree in Business from a local community college. Before coming to Spoon River Home Health, I worked in insurance for over 20 years and then was a stay-at-home mother of 4 for several years. Spoon River Home Health made getting back in to the work force such an easy transition for me. One of the many reasons I love working for SRHH is the “Family Caring For Family” motto that the entire company follows. I joined Spoon River Home Health in 2017 as the Community Liaison and Marketing coordinator. One of my primary reasons for wanting to be a part of this team is I saw how deeply they care for seniors and their family members. As the POA and guardian of my mom who has early onset Alzheimer’s, I always ask myself, would that company or that person treat my mom the way she deserves. I can say with confidence that I am part of a company that embraces this ideal. My role in the company is varied. I do everything from social media and graphics to attending events and sharing our values and philosophy with others. I am a passionate advocate for teaching others strategies on handling situations that come up with Dementia and Alzheimer’s and am available to speak on the topic at In-Services anytime. In my spare time I teach a writing class once a month at the Pekin Library, do photography and create art. I am a mom of 4 grown children and a grandma to an almost 7 year old boy and a 5 year old girl. I am also on the board of Senior Care Network and a local rescue called TRAIN. My life is busy but rich with experience and I am very happy to serve the seniors of our community and their loved ones through education, advocacy and compassion. I became a CNA in 1994 and have always enjoyed caring for our clients. They have so many stories to share and are a genuine treat to be around. The more you are with them, the more they feel like family rather than just a person you have to take care of. I was a previous Client Service Specialist from November 2014 to August 2016. I had previously gone to school and had taken several accounting classes and when an opening came available in the billing department, I was thrilled when I found out that I would be taking on a new role? What I like most about Spoon River is the fun family friendly atmosphere. Family comes first and they are the first to recognize this. Whether needing to take time off for a sick child or having to attend a spring concert, Spoon River allows the flexibility to put family first. And the fun part! As an avid Cubs fan, what a treat it was for them to take us to the playoffs in October 2015. What an experience! Unfortunately, they did not win the world series that year, but what a wonderful and memorable year 2016 turned out to be! Spoon River Home Health is a wonderful company to work for. Do we make mistakes sometimes? Sure, but who doesn’t. If we make a mistake, we try our best to correct it and make sure the client and their family is completely satisfied in moving forward. We all want the best for our Families, and working for Spoon River allowed me to take care of my loved ones as well as yours! I rejoined SRHHS in 2014 on a part time basis having worked full time from 2011-2013. SRHHS is an enjoyable, family oriented place to work. Having little client contact, I enjoy the interaction with all fellow employees. I came with a background of working with billing from a doctor’s office and an ambulance service and medical knowledge from being a hospital RN in my younger years. My main function is to audit all Home Health & Home Nursing charts before Medicare or Insurance is billed. This is to insure that the cart contains everything needed for optimum claim benefits. Along with the others in the Billing Department, I follow up on problem claims and try to answer any questions our clients might have. I have lived in the Elmwood area the past 40 years and am the wife of a retired Caterpillar employee, mother of 3 and grandmother of 7. I enjoy any and all activities my grandchildren are in, flea markets, and traveling. Brandi does lots of data entry including but not limited to new sign ups, admitting Patients, entering SOC, transfers and DC oasis, and enter new or update employee information. She acquires background checks; creates supply sheets for employees and patients. To top it off, she handles flu shot billing, and performs patient care when needed. Brandi has an Associate in Arts and Science along with a 3yr degree/diploma in Nursing. She has worked in healthcare for 6 years. 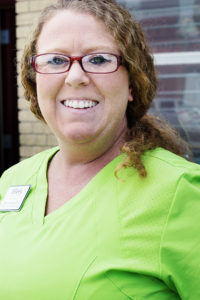 Brandi describes herself as pleasant to be around, and always has a good attitude and smile on her face. On the weekends she enjoys going to the dirt track, stock car races because her boyfriend drives, as do many of her friends. She also enjoy athletics, such as Softball and Basketball. She LOVES watching Nascar Racing and cheering for #88 Dale Earnheart Jr. Brandi also has a son who is 2 years old named Braden. He is her world or rather her world revolves around him. He is very energetic and outgoing and loves being outside. He also enjoys going to the stock car races, ballgames and playing outside. He keeps my life on the go and very interesting because you never know what will happen next. 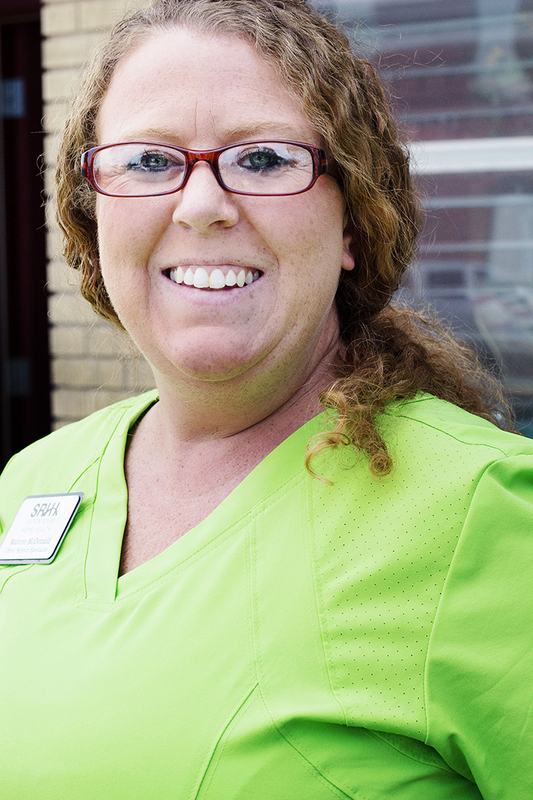 I came to Spoon River Home Health in 2001 and started out as a clerk in the Billing Department. I wasn’t looking for a job, I was looking for a career – and that’s what I found. Spoon River Home Health shared with me their knowledge of the home health industry and their passion to make a difference in the lives that we touch. 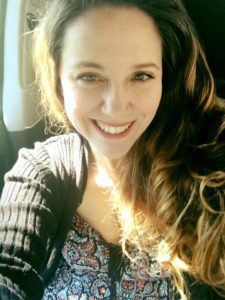 In the past 15+ years I have worked hard, moving up through the ranks of the Billing Department, the Client Service Department, Human Resource Department and am now the Health Information Coordinator. My responsibilities include verifying insurance benefits and assisting with referral calls helping families and other providers know know about all of the ways Spoon River Home Health can help someone live independently with the help of our care. I consider myself a Spoon River success story, and I am not the only one here that way. There are many others here at SRHHS that can say the same thing. My career is to help those who have a passion for helping others. My name is LaDonna Boxley and I am proud to be part of the Spoon River Home Health family. About 12 years ago I worked for SRHHS as a caregiver which then made me want to become a CNA. I then took the course that SRHHS offered to become a Certified Nursing Aide. I have worked as a CNA for about 10 years now. After working in the field and taking care of people I then got interested in furthering my education to move up in the medical field. I enrolled into the University of Phoenix for Healthcare Administration, and since have moved from the field to the office. I am currently working as a Client Service Specialist in the Fulton County area. Since taking the position in the office I have received one diploma, Health and Wellness Administration Foundations. I am currently just weeks away from my second diploma, Electronic Health Records Fundamentals. I really enjoy working for SRHHS as everyone is always smiling and the patients always come first. Not only do I love SRHHS for the people but also because it gives me hands on training for my schooling as its all online.